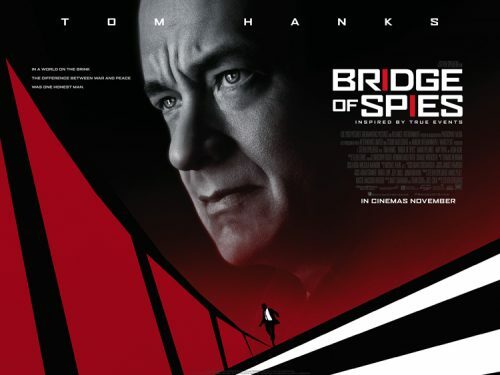 A couple of weeks ago, the first trailer for Bridge of Spies hit. It sort of works. It’s a mix of the current style of having a huge image of the main star on it. This is offset with the feel of a film from the 60s. It is a spy thriller that comes across in the poster quite well with someone running away from someone next to a wall. The Berlin Wall.